I'm an absolute beginner with no experience. Do your courses suit me? You do not require ANY speaking experience to engage with Speechcamp’s courses and services. You may have noticed that our 8-Week Course is called the Master Speakers Course. Rest assured this course is designed for all skill levels. We build everyone’s skill-set from the ground up. How do the courses work? Is it mostly theory, or do we get to practice? We provide an optimum balance between practice, coaching and teaching. Along with your practice performances we also facilitate group exercises, fieldwork (speech writing and preparation exercises that can be completed in between classes), as well as interactive coaching and assessments. We record every practice and feedback session (and the footage is yours to keep). We also teach the CORE system in modular form to support all exercises, performances, projects and goals. Our 130 page CORE Speaker Manual is made available in hard and soft copy form to all students of Speechcamp. Will I have to return to do more courses? Occasionally we get repeat clients who like to keep their skills sharp, but it is by no means a necessity. 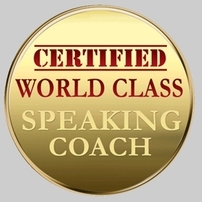 Our CORE speaking system is designed to facilitate a permanent and reliable transformation in your speaking skills. I have a massive fear. Will I be able to deal with it? The fundamental basis of our CORE speaking system is about building emotional empowerment. To be emotionally empowered is to be free of fear. Over the years we have helped many people to conquer their public speaking fears and we are confident that you will be no different. In our experience all you need is the correct system for success, along with professional coaching, and a warm friendly place to practice. It’s our delight to watch our clients shed their fears and blossom into powerful speakers. All we ask is that you give yourself that chance. It is our passion and privilege to walk with you every step of the way, and we never take the depth and importance of your journey for granted. What if I find your course too difficult? What if I struggle? Our CORE speaking system is designed to be universally accessible for people of all backgrounds and skill levels. We can assure you that everyone is in the same boat at our courses, and everyone is encouraged to respect and support each other. We also encourage people to brainstorm and collaborate with each other on certain projects. It’s a guarantee that everyone ends up learning not only from us, but from each other. Indeed, our students end up teaching us a thing or two, and we wouldn’t have it any other way. If you do require additional tutoring during our 8-Week Master Speakers Course we provide it for free as part of the service. I can also tell you that in 4 years of running this course we have never seen anyone fail. What is the environment like at Speechcamp’s courses? We provide a professional and friendly setting so that you can learn quickly and enjoy the process. Our courses offer a warm encouraging environment to give you the best opportunities to shine. Friendships and business connections do result from attending our courses, and though that is not the primary aim or focus, it is a natural outcome of people sharing a journey together. In any case, you can expect to forge new relationships as you transform yourself into a successful speaker. Can I see your coaches speak? Of course... Click to see Eddie’s speech (a 40 minute informative presentation on “The Secret Behind Public Speaking”). Click to see Iryna’s speech (the award winning inspirational speech - "A Hunger In Your Soul"). I’m fine when I’m prepared for a presentation, however I would like to develop my off-the-cuff speaking skills. Can you help? A key part of the CORE speaking system is the ability to adapt to off-the-cuff situations, and so we teach the skills and techniques required to speak on topics that you had no time to prepare for. We facilitate practice sessions that include impromptu speaking, questions and answers sessions, and we teach you how to handle challenging scenarios. You will be no stranger to off-the-cuff speaking when you graduate from our course. Your CORE system is designed for careers and business-related speaking. I have a wedding speech I would like to develop and practice. Is that possible? Of course. We have the expertise to help you write and deliver a wonderful, humorous and heartfelt script for that special occasion. Wedding speeches are a type of “honouring” speech. There are specific sub-skills and techniques required to write and perform these kinds of speeches. We have coached many students with their wedding speeches, and we would be delighted to elevate you to great success for the big event. I would like to attend one of your courses to help me with my job interview. Will I benefit? The CORE speaking system covers tools and techniques to succeed in job interviews. During our 8-Week Master Speakers course we can help you to develop and master the art of giving a great interview. We help you to lock in an authentic and empowered style that conveys passion and promise. We can also host a mock-interview to simulate the real conditions you will be facing. We are also proud to say that many of our clients looking for interview skills went on to get the positions they were looking for. How often are your courses held? Our 8-Week Master Speakers Course takes place 3-5 times per year. Our private sessions and corporate training can be held at any time as often as our client’s require our services (subject to our availability on any particular date).